OK, I was not a ‘star’ at School. I actually thought that school was supposed to be a 6 day a week ‘gig’, as most Saturdays I was there attending detention. It got to the stage that I was invited to seek education opportunities elsewhere at the tender age of 15, much to the angst of my parents. You may have heart this story before, at one of my seminars, but it’s worth repeating I think, as there are a few key lessons in it for us all. And a biggie at the end. So there I was at the age of 15, wondering what to do with myself. Well actually for me, the decision was quite easy. You see I was a bit of a fan of all things Military. Playing soldiers as a kid. On the Army Cadet shooting team. And back then, way back then in 1972, it was possible to join the Army at the age of 15. As an apprentice. I think as my parents bid me farewell on the boat to England they hoped that the Army would ‘make a man’ of me and hopefully quell the rebel streak that had developed. I soon got into the routine and the discipline framework sorted me out. I actually started to do quite well. So well in fact, that the Officer in charge of my group suggested I consider office training! Well, for a kid who all through his School life had been told he was stupid and would never amount to anything, I wasn’t about to listen to this guy was I? After two and a half years at this Army ‘School’ I was allowed out into the ‘real’ Army to do my thing. Again, I seemed to do surprisingly well! The structure and support of my ‘work’ environment kept me on the straight and narrow, well mostly. And I continued to improve and grow…. Then I think it was about 1980. I had another ‘tap on the shoulder’. This time from a Captain for whom I was working. It was that idea again. Why don’t I try to pass selection for Officer training? This time I listened. And with the support of my ‘Boss’ I went off to boost my level of education and leadership skills. Some 8 months later, I found myself turning up at the Royal Military Academy Sandhurst for Officer Training. I continued to do well, gaining early promotion to each higher rank. And then in 1991 came a huge turning point. I was ‘sponsored’ to go to Cranfield University to study for a Masters degree in Logistics. Not bad for a kid thrown out of School at the age of 15. And Yes, I did well. It was actually there that I met long time friend and ‘mentor’ Mark Powell, whom many of you may know as the outgoing CEO of the Warehouse Group. It was also following Cranfield, that I developed a passion for education and training, spending 4 years running graduate and post graduate Supply Chain programs. So after 20+ years managing Military Supply Chains I came to Australia to work in industry, and found my niche in consulting. The rest as they say is history. I founded Logistics Bureau 1997, and in 2012, finally found the time and resources to launch my own Supply Chain education program, recently rebranded as ‘Supply Chain Leaders Academy’. So I’ve gone full circle. 40+ years ago, I was the one struggling with education. Now my greatest passion, is helping to develop and educate others and we do that through our range of education programs. So there were some lessons in this story. Did you spot them? If someone tells you can’t do something or will never amount to anything.Don’t believe them! If you have people working for you that show potential, give them a ‘leg up’. You might just be amazed at what they can achieve. Pick the type and style of education that appeals to you or your team most. Don’t try to ‘squeeze’ yourself into programs that just won’t work for you. As an example of #3, I found formal education programs a real struggle. Not helped by the fact that I suffered from ADD! It was the pragmatic and practical stuff that engaged me most and helped me learn best, and our Supply Chain Leaders Academy has built on this learning. What is that great saying by Benjamin Franklin? And I suppose that what makes our Supply Chain Leaders Academy so popular. And why the likes of Kmart, Coca Cola, Bluescope, CHEP, and many others send their Supply Chain ‘Rising Stars’ along to it. If you’re an Executive working in Supply Chain, HR or Training for a major corporation, you might actually want to come along to a free breakfast briefing I’m holding very soon in Sydney and Melbourne. It’s all about boosting performance of your teams though practical and engaging education. You might have to put up with this story again, but I’ll also promise to share some thoughts and tips on where traditional Supply Chain education falls short. 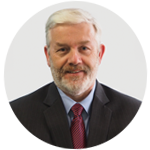 Rob O’Byrne has 40+ years experience in Supply Chain management. In 1997, he founded the Logistics Bureau Group which has now expanded to provide consulting, performance benchmarking and education services. He even established his own Supply Chain Leaders Academy in 2012 to follow his passion for education. Coming soon, is Supply Chain Leaders Insights.